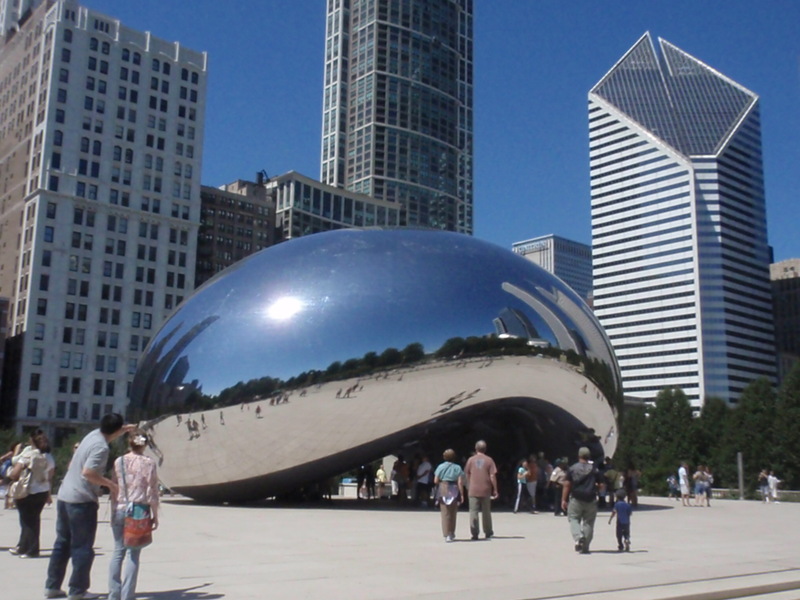 I wonder how The Bean got the name Cloud Gate. I can’t envision either a cloud or a gate in it. Odd. I do like the Marilyn statue though it is a bit big. Love those Halloween pieces. There are just too many cute Halloween designs around. I always do a few since I can’t resist. Love everything about Marilyn including that statue! Amazing work on your son-in-law’s stocking, too–I’ll bet that took quite a long time to piece together. We visited Chicago for our first (and only) time about three years ago–loved the Bean and those big fountains with the changing faces. Missed Marilyn, though…We might just have to plan a return trip before she makes her exit!! Great finishes! Love your Drawn Thread one. 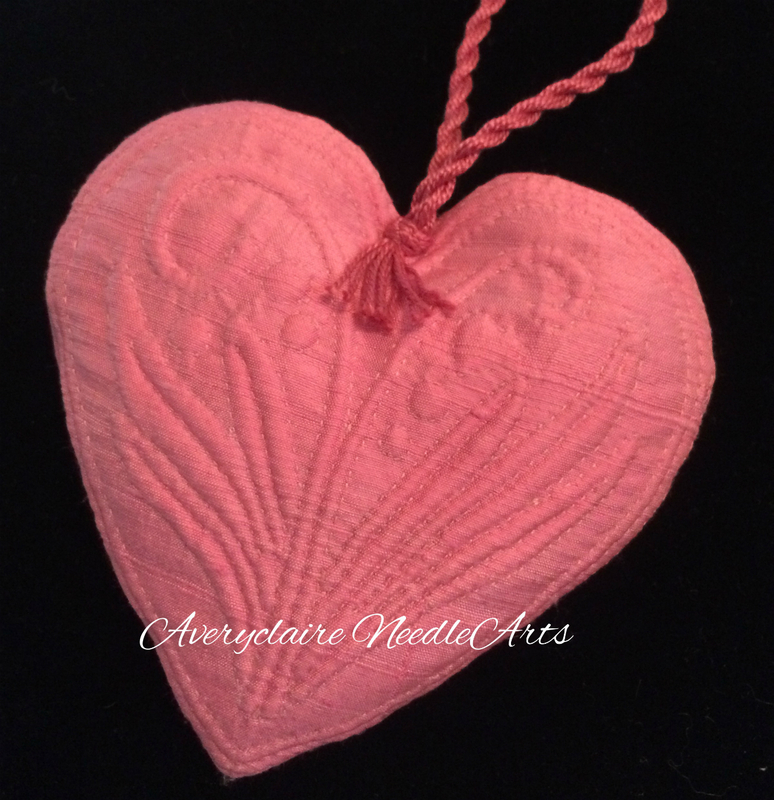 DId you stitch it with one thread or two? My instructions said one which I followed but still debate the coverage. Great stocking and photos of Chicago! I am dying to get back and explore a bit more one day. i like the halowen colors, your stitching is beautiful. Wonderful finishes. 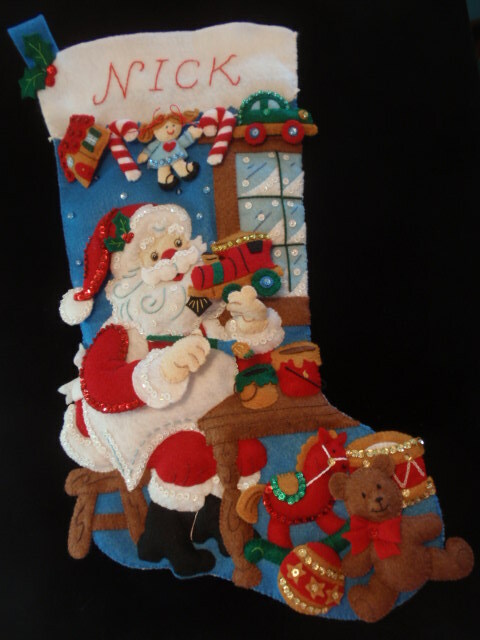 I love the Christmas stocking! Congratulations on your new granddaughter. The quilt you designed for her is just wonderful! I love the Halloween pieces and the scissors are so Halloween like too! 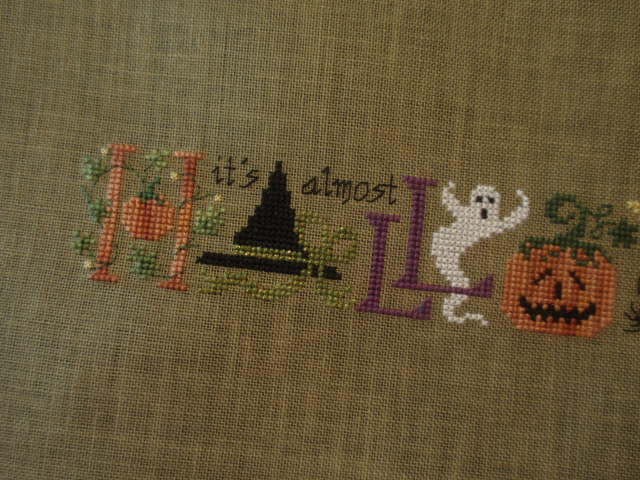 I love the Halloween stitching. 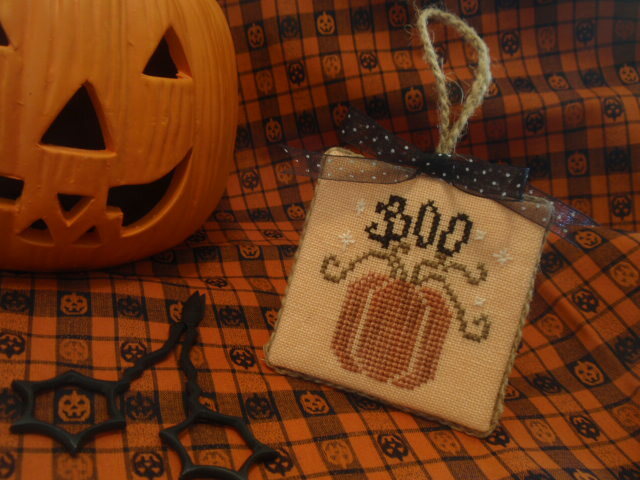 I need to be focusing on Christmas ornaments but just love some of the new Halloween designs coming out! 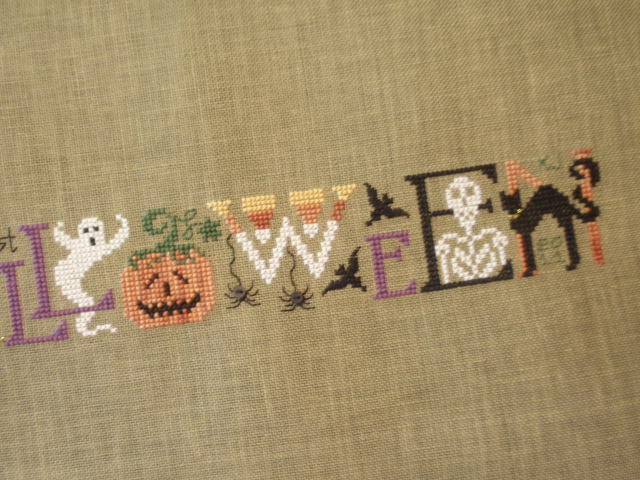 Love your Halloween stitching! I am over due for a trip into Chicago! 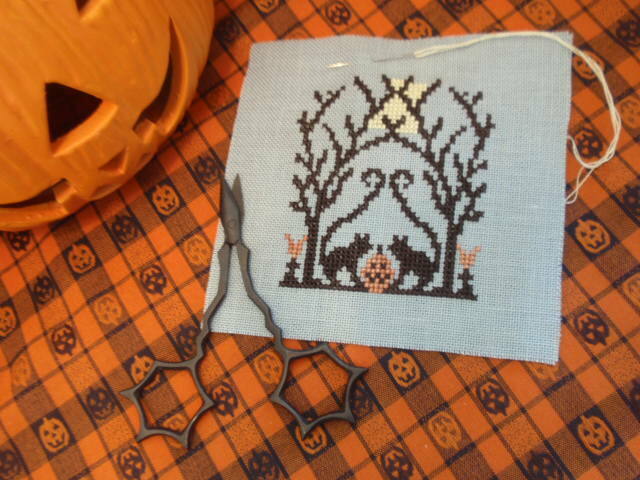 I’m almost finished my Halloween scissor fob, and I’ll post it when it’s completed. In the meantime, I want you to have the Crow Worthy Award. 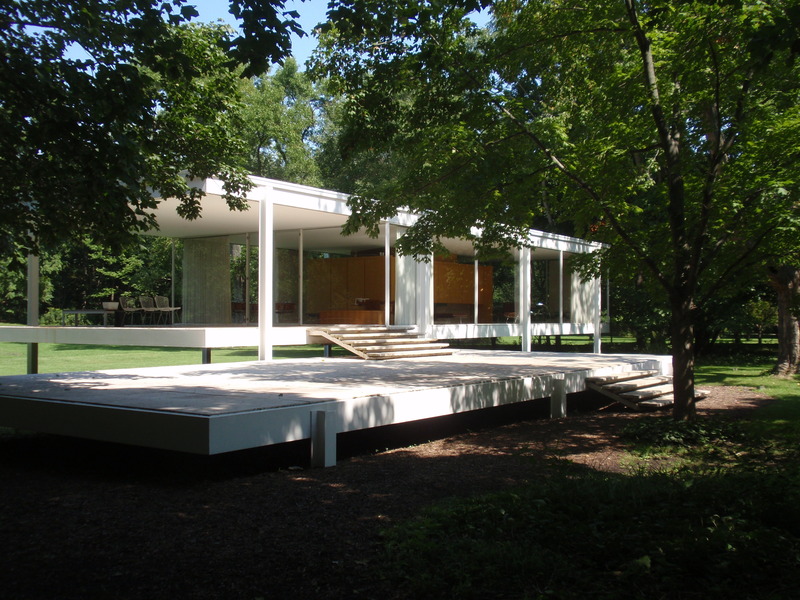 Please visit my site, and if you can find room in your side bar (I really like the pictures you have there), display it. It’s my way of saying thank you, and I’m so glad I met you. You are one of the very first to receive this – I designed it last night.